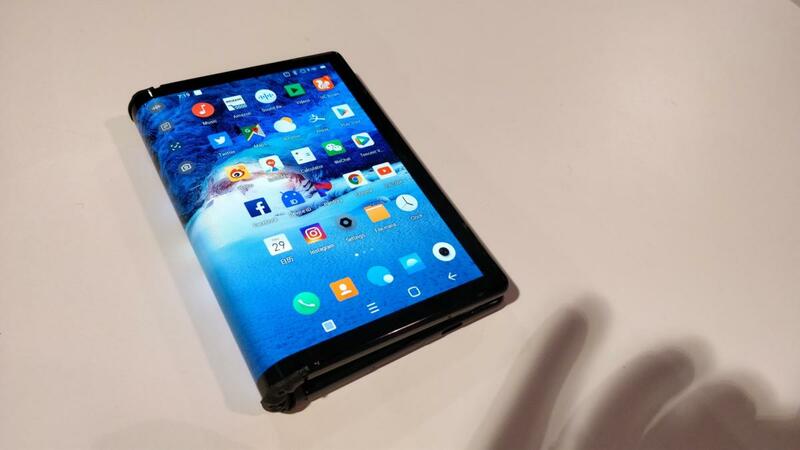 The era of foldable phones is here. Sorry, Samsung. 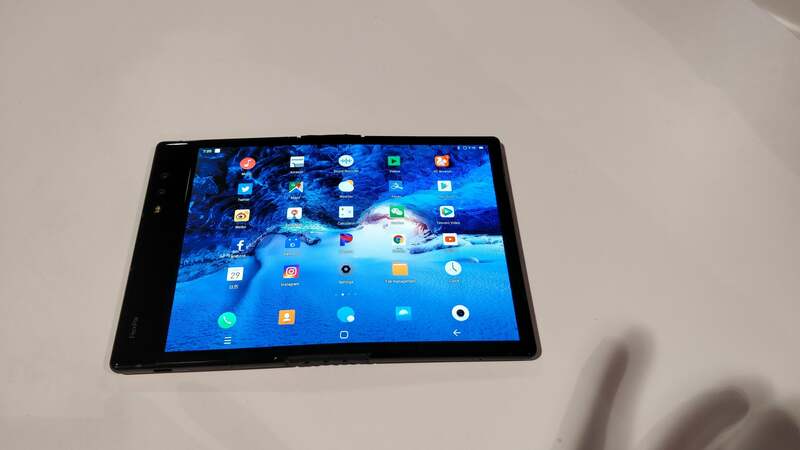 For the moment, Royole can boast something that smartphone giant Samsung can’t: The smaller consumer electronics company has a foldable Android smartphone, the FlexPai, and Samsung doesn’t. 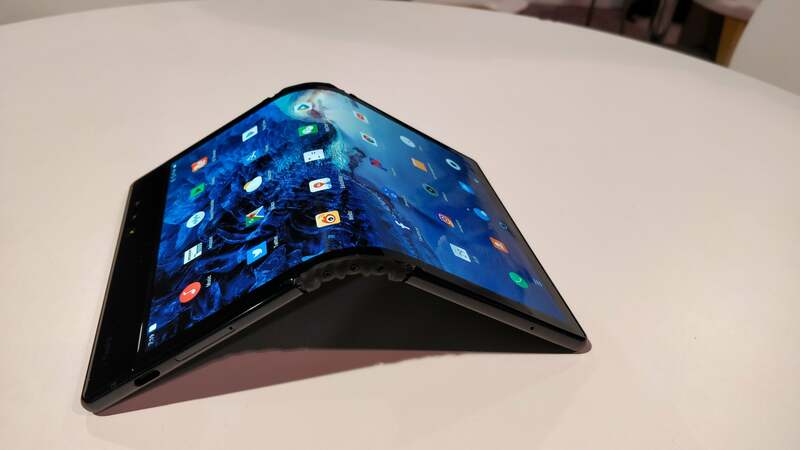 While Samsung reportedly has a folding phone under development, the FlexPai is here. While the FlexPai doesn’t quite fold flat—the rolling hinge is more like the Surface Book than anything else—it does get compact enough to fit in a pocket, and unfolds to yield a tablet-sized 7.8-inch screen. The 1920x1440 screen didn’t blow me away in terms of resolution, but it’s bright and clear enough to satisfy most users. The FlexPai definitely, well, flexes. Let’s get something out of the way: You’ve never heard of Royole. Neither had we. Neither, presumably, have American carriers. Royole ambitiously announced a price: $1,300, but that’s the price it’s presumably charging for the developer model it showed off here at CES. It’s not exactly clear whether $1,300—which would put it in the upper echelon of smartphone pricing—will actually remain when and if the device finally ships. The goal now is fo Royole to convince carriers to offer it. The FlexPai unfolds into an actual tablet. 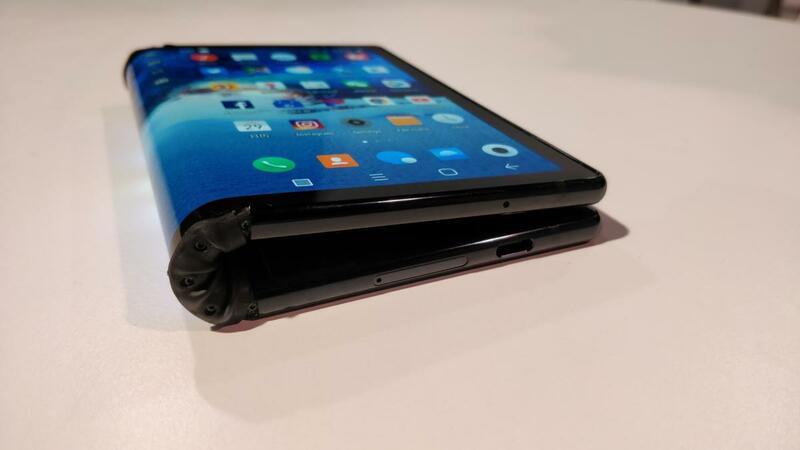 In a brief hands on with the device, the FlexPai was a little stiff to unfold and fold, though that’s a small price to pay. 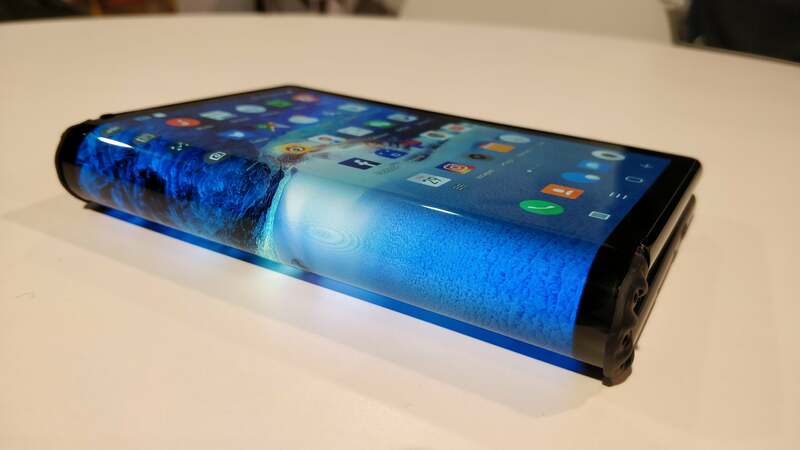 Royole executives tell us that they’ve tested the AMOLED folding screens to basically allow for six years’ worth of folding the screen back and forth, about 20 times per day. There didn’t seem to be any distortion near the small portion of the screen with the most physical bend, either. There didn’t seem to be any noticeable drop in brightness or clarity at the portion opposite the hinge, either. Inside the FlexPai is a Qualcomm Snapdragon 855, 6GB of RAM, and either 128GB or 256GB of memory, according to a company spec sheet. There’s a MicroSD card slot tucked into one side of the device. Oddly, Royole quotes both a 16Mpixel as well as a 20Mpixel camera, and there are two cameras right next to one another. The twist is that either camera can function as a front-facing or rear-facing camera, due to the fold—and you can see the screen in either configuration. We’d obviously like the FlexPai to fold flat, but this is a good start. The FlexPai (also known as the RY1201D) doesn’t use pure Android, but a “Water OS” skin that offers its own UI. We didn’t have enough time with the device to notice any major features. About the only question we’re left wondering about—well, including customers—is the battery life, which wasn’t specified. A large portion of the device appears to accommodate the hinge, and it’s not clear how large the battery pack(s) are. Even if you never have a chance to buy it, it’s still one of the more intriguing devices we’ve seen here at CES.